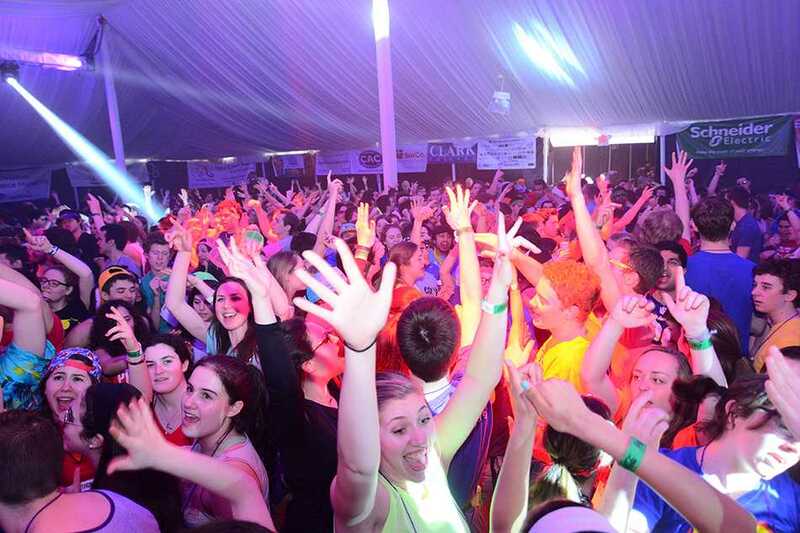 With stamina steadily increasing throughout Block 7, dancers picked themselves up and continued to dance in the humid tent. 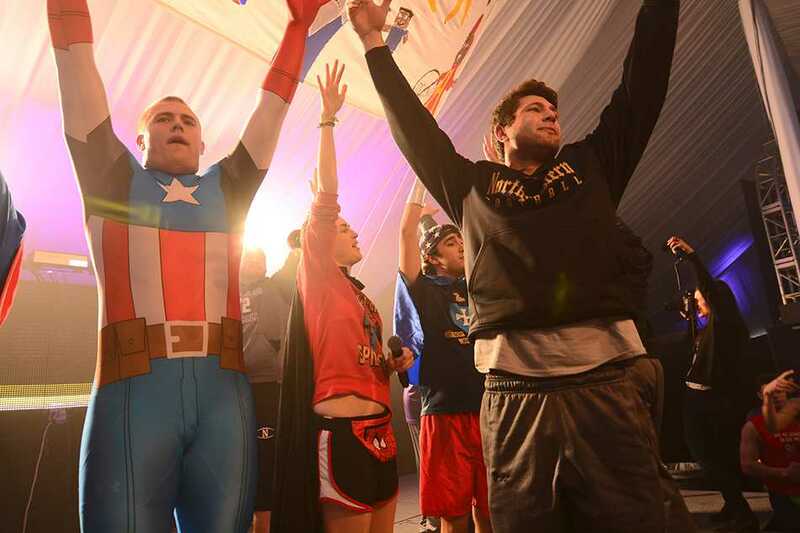 Dancers shuffled back into the tent at 1 p.m. for the Hero-themed block. Energy was low after the dancers broke for lunch, but gradually went up as the block went on. 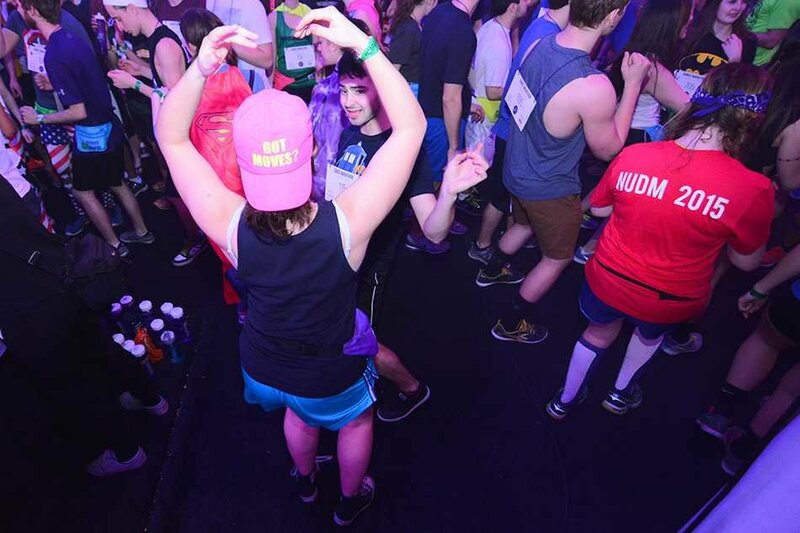 Throughout the block, presenters spoke onstage to encourage the dancers to keep up momentum. 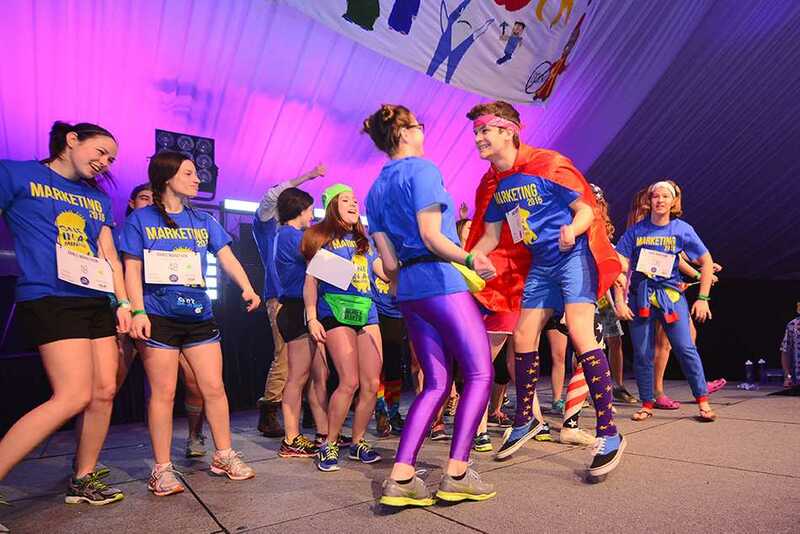 The tent fell silent when Starlight Children’s Foundation’s next Hero family took the stage, with the Dunning family recounting the hardships they had experienced during the last nine years. The Dunnings became involved with the foundation three years ago because of their 5-year-old son, Anthony, who has Ehlers-Danlos syndrome, and their 8-year-old daughter, Bryonna, who had gastroschisis at birth. 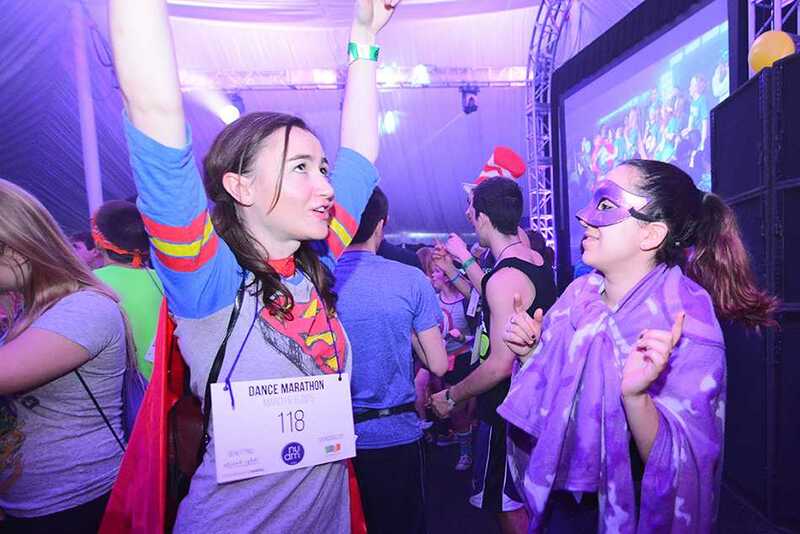 Dance Marathon’s efforts help to make a child’s tough journey a little bit easier, she said. Fleischer appreciated seeing all the different families share the sadness that each had gone through. Courteney Cox and Isla Fisher also made an appearance in a celebrity video urging the dancers to keep going. 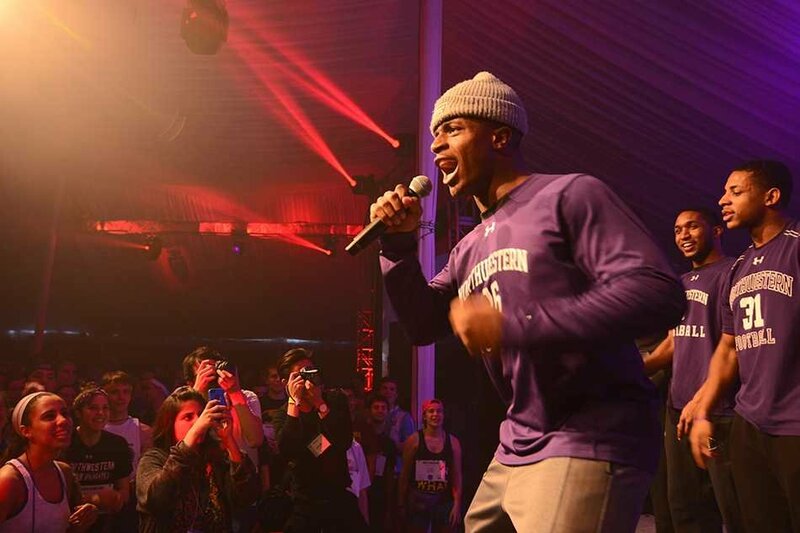 The energy in the tent spiked when the football team took the stage with coach Pat Fitzgerald, with several of the players hopping off stage and wading through the crowd afterwards. At the end of the block, DM announced that it had raised $374,511 by this year’s half-money deadline on Jan. 21, compared to $243,694 at last year’s half-money deadline.